Marchande de modes portant la marchandise en ville. Home » Marchande de modes portant la marchandise en ville. Marchande de modes portant la marchandise en ville 1780. 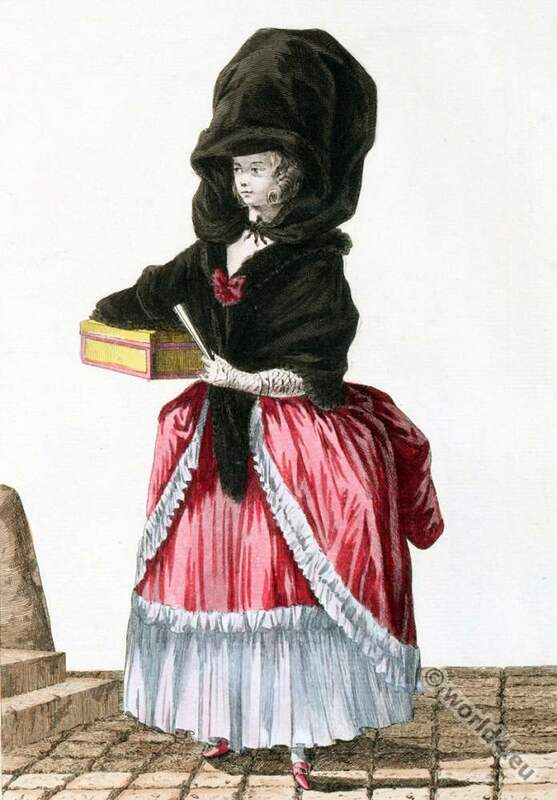 A Dressmaker carrying the merchandise in the city in 1780. French fashion during the 18th century. Fashion in Reign of Louis XIV. 1643 to 1715. Fashion in the Reign of Louis XV 1715 to 1774. Rococo Fashion in Paris and London, 1788. The Salons of Paris in the 18th century. The French Republic. Revolution, directory period. This entry was posted in 1780, 18th Century, France, Galerie des Modes, Rococo and tagged Collection d'habillements modernes, Rococo fashion on 1/26/16 by world4.